Looking to import imagery/terrain along a corridor into AutoCAD for your roadwork or railroad project? We have prepared a tutorial to show you how to do this, with Plex.Earth 4, easily and quickly: By choosing to import imagery using the “By Path” option, you can decrease the import time significantly and boost your productivity. Check it out and watch this space for more tutorials and helping materials! Bagging the big ones in Africa, while safe and comfortable in your home office? Plexscape has partnered with Transoft Solutions allowing engineers and designers to create and share impressive presentations of their swept path analysis into Google Earth. 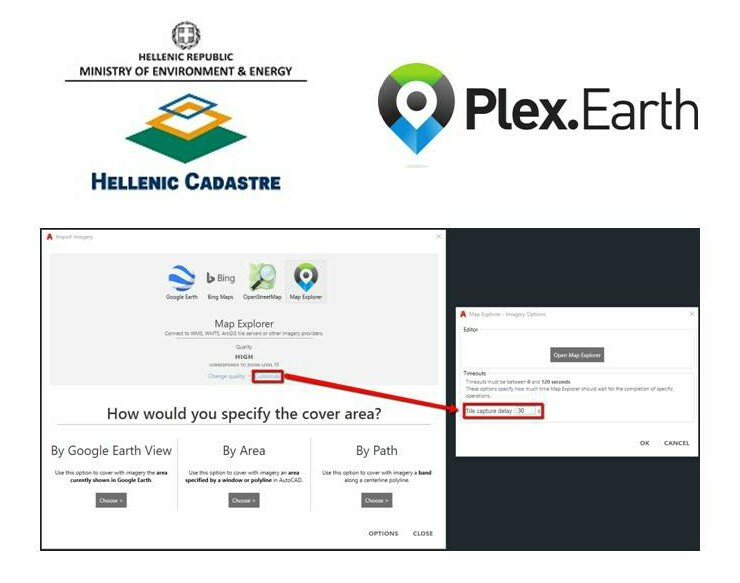 Following the integration of their popular software, Plex.Earth and AutoTURN PRO alike, the two companies announce their first free webinar which will take place on Thursday 13th of December at 11:00 AM CET (12:00 GMT+2 or EET). Those who are interested can register here. This in-depth training run by in-house specialists of both software will show engineers and designers how to import high-quality satellite imagery, create swept path analysis and display the end result in the Google Earth environment. The attendants will have the opportunity to experience first-hand the value of bringing together Plex.Earth with AutoTURN technology, as shown in this video. According to “Make it, or break it - Global Construction Survey 2017” by KPMG, companies still struggle to deliver projects on time and within budget. However, by publishing their 3D vehicle content in Google Earth, engineers now have a powerful tool in their hands: they can create and share breathtaking presentations with their customers or colleagues and take instant feedback, whenever they need it. Therefore, they can reduce revisions and meet their project’s deadlines and budget goals. All registrants will receive a full recording of the presentation, so they can sign up even if they’re not sure they can attend. TIME: 11:00 CET (12:00 GMT+2 or EET). Plexscape is a software company committed to changing the way engineers work on Architectural, Engineering, and Construction (AEC) projects, by developing innovative solutions that bridge the gap between design and the real world. Our solution, originally released in 2009, is being used by more than 15,000 engineers in over 120 countries worldwide, enabling them to have the complete 3D geographical view of their real-world project sites within minutes, through Google Earth and other satellite data providers. For more information on Plex.Earth's benefits, visit www.plexearth.com. Since the creation of Plex.Earth in 2009, we have been committed to changing the way engineers work on Architectural, Engineering and Construction (AEC) projects, by bridging the gap between design and the real-world. Following through on our commitment, we are excited to announce our partnership with Transoft Solutions, a global leader in transportation engineering design and analysis software. Central to the partnership is integrating AutoTurn with Plex.Earth, allowing engineers and designers to demonstrate vehicle swept path analyses directly into Google Earth. By creating and sharing self-explaining presentations in the Google Earth environment, engineers can make design decisions with more confidence, reduce revisions and keep their projects on time and on budget. Do you want to know what Plex.Earth can do for you? Start your free trial now and stay tuned for more! Every software performs well in the lab, but beta testing offers a company crucial insight into how its users interact with the product in real-world settings. In our case, putting Plex.Earth 4 in beta mode was a strategic decision. One of our beta testers, Myles Russel, Senior Civil Coordinator at Farrell's Excavating Limited, got his hands dirty testing our software and gave us an interview describing his great experience with Plex.Earth 4! For the last months, our development team has been very busy in building the new version of our flagship product, Plex.Earth 4. We're all excited having added some unique features to our software, and although our new version is in beta version, we would like to share a sneak peek at these new capabilities. Plex.Earth is used by thousands of engineers around the world but it can also facilitate the work of various other professionals. In this case, it found its way in the court of law! Will you be around Athens' center this weekend? If so, don't miss the chance to be in the Startup Safary. Plenty of events will take place, with many interesting people from various disciplines. We're going to be there and share our experience on what it takes to create an internationally best-selling product out of an everyday problem. Are you looking for the push you need to transform your solution into a business opportunity? Do you need to overpass technical or business-related obstacles? We've been through all of this, creating and evolving Plex.Earth, so, we'll be very glad to meet and talk with you!